have many emt gear to choose from. With EMI's Nite-Writer Pens you can write in low light conditions or even at night! The Nite-Writer Pens can also be used for reading purposes. Besides being practical they also make a great gift! 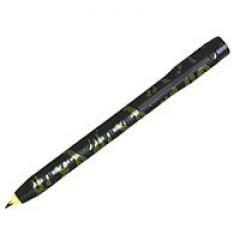 Features soft LED light for writing or reading, Rotary on/off switch tail cap, Camoflage finish with pocket clip. Writes in black ink and includes batteries. Approximately 5 1/4" length x 5/8" diameter. Weighs 1 oz. Comes in velvet protective case.